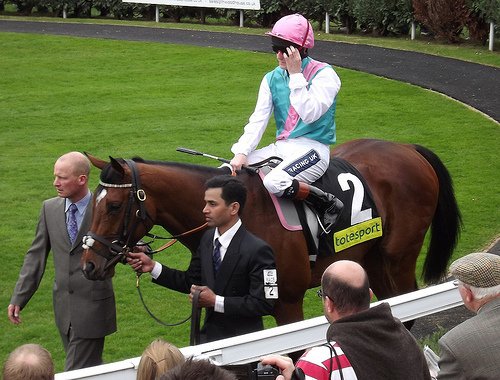 Even those among us who may not be horse fanatics will probably have heard about Frankel; the fastest horse in the world. He has been dubbed Usain Colt although he has a better record and is faster than Usain Bolt. This horse has never been beaten in all of his 13 races and has now won more than £2 million in prizes but his fortunes won’t end there. After he is retired and breeding, the offspring will provide a rather large amount of income when sold. Frankel is worth £100 million and runs at 40mph so it will come as no surprise to you that there are CCTV cameras in his stable, that his trainer Sir Henry Cecil has fed to his bedroom. This week in York all his devoted race fans came in their thousands to see Frankel race and win his eighth European Group One victory in a row. This means that he has now broken the record of seven wins in a row. This was set by Rock of Gibraltar whose part owner is Sir Alex Ferguson. There is a lot to think about when racing/owing horses and getting them to races safely is one of the top priorities. By making sure you are covered with horse box insurance means that you have a little peace of mind when it comes to travelling. In the race during the week also competing was Frankie Dettori on his horse Farhh. 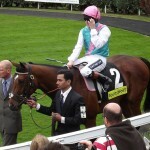 They finished second to Frankel and Frankie said, “It’s a joy to ride in the same race. The horse will run one more race and retire after, no one knows where or when he will be racing but they do know there will only be one more.